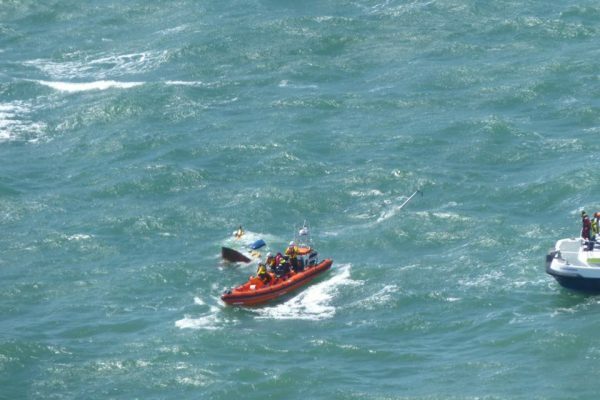 You are here:Home » Category: "At sea"
Yachting Boating World: The UK Coastguard has issued a safety warning after six people died in rough seas around Britain over the weekend. 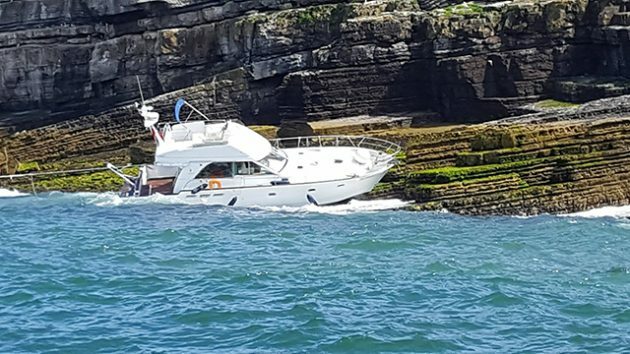 Practical Boat Owner: A motor cruiser sank after running aground on rocks at Puffin Island off the eastern tip of Anglesey, Wales. The two crew aboard the 35ft boat, Le Babe, made a Mayday call at around midday today, 14 July. They were rescued by a local motor cruiser run by Anglesey Boat Trips. Le Babe sank before it could be removed from the scene by lifeboat crews. 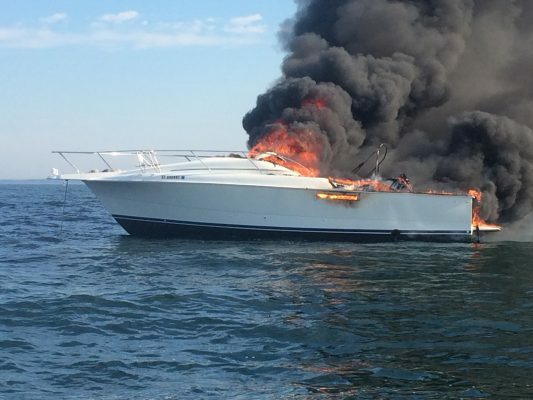 Yachting Boating World: Timothy Lenz was living on board the boat when it caught fire off the coast of Saco, Maine. 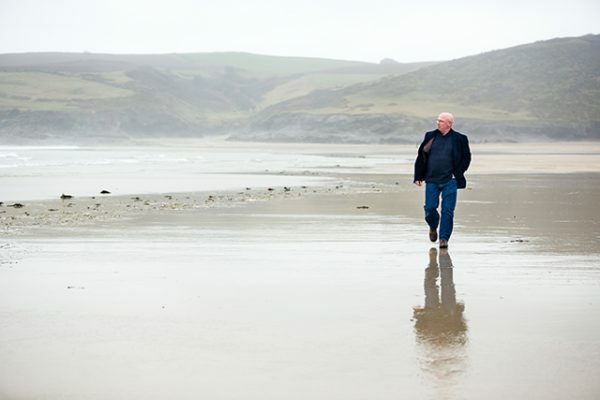 His wife’s ashes were on board when the vessel sank. Timothy Lenz had kept his wife’s ashes on board his motorboat every since he moved onto the vessel. The retired veteran, who lives alone, was on a trip to Connecticut when the engine compartment caught fire near Wood Island, Maine. Lenz told the television station, WMTW that he tried to put out the flames with a fire extinguisher, but the smoke was too thick. He took the decision to abandon his 31-foot motorboat, leaving behind his wife’s ashes. He was rowing away from the boat in his skiff when he was later picked up by a passing fisherman, who alerted the authorities. The Coast Guard, Maine Marine Patrol and Saco Fire Department responded to the fire. “Marine Patrol reports that Mr. Lenz’s boat sank as a result of the fire. No plans have been reported yet to recover the vessel,” concluded the spokesman. Lenz said he has lost most of his valuables in the fire and subsequent sinking. But, he is trying to remain positive. “If I had stepped into the boat any deeper with that black smoke, I probably wouldn’t have come back out. They probably would’ve found me,” Lenz told WMTW. He said he is very grateful to the passing fisherman who came to his aid: “I’m just glad that a fisherman come by, saw me, because I was in the little dingy rowing away as fast as I could,” Lenz said. An investigation is now underway to find out the exact cause of the fire. Yachting Boating World: Alchemist, the yacht belonging to the commodore of the Island Sailing Club, sank during the Round the Island Race on 2 July after hitting a shipwreck. But it was good news for TP52 Gladiator who won the race and MOD70 Phaedo 3 who smashed the multihall record time. It started taking on water after hitting the shipwreck of the SS Varbassi just east of The Needles on the Isle of Wight. The vessel was competing in the Round the Island Race on 2 July. Strong winds during the racing, especially south of the Isle of Wight, meant challenging conditions for many taking part. Racing for some of the smaller classes of yacht was cancelled. The man, who is in his 30s, suffered serious head injuries when he was thrown onto a winch handle. He was on board a 40 foot Sunsail ocean racer. Cowes RNLI took the man to shore where he was taken to St Mary’s Hospital. Despite the challenging conditions, race organisers say that only a small percentage of the fleet retired from the race. 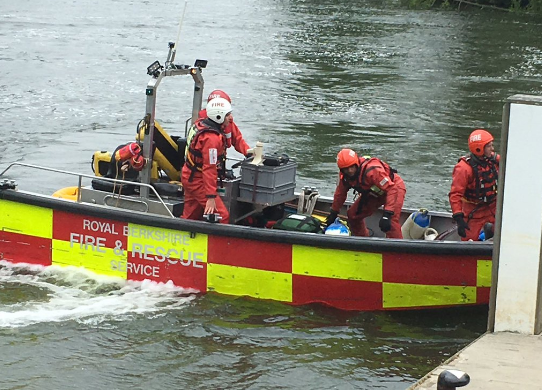 Yachting Boating World: An investigation has now been launched after an abandoned boat was spotted on fire on the River Thames. It later sank close to the Wokingham Waterside Centre. Thames Valley Police are now investigating the cause of a fire on board a boat which later sank. Officers on a towpath at Cholmeley Road, Reading spotted the burning vessel at around 1.30am on 27 June. The boat was floating down the river behind the Thames Valley Business Park. Firefighters from the Royal Berkshire Fire and Rescue Service were called. The police say that it is not believed that anyone was on board the 15 foot vessel. No one was injured in the incident. Motorboat & Yachting: In the Mediterranean, the west coast of Italy is blessed with some of the finest harbours and beautiful islands. From Genoa, as its centrepiece Campania province has the stunning Bay of Naples and here you can find dazzling theatre of history dominated by the shadow of Vesuvius, a menacing volcano a few miles inland. 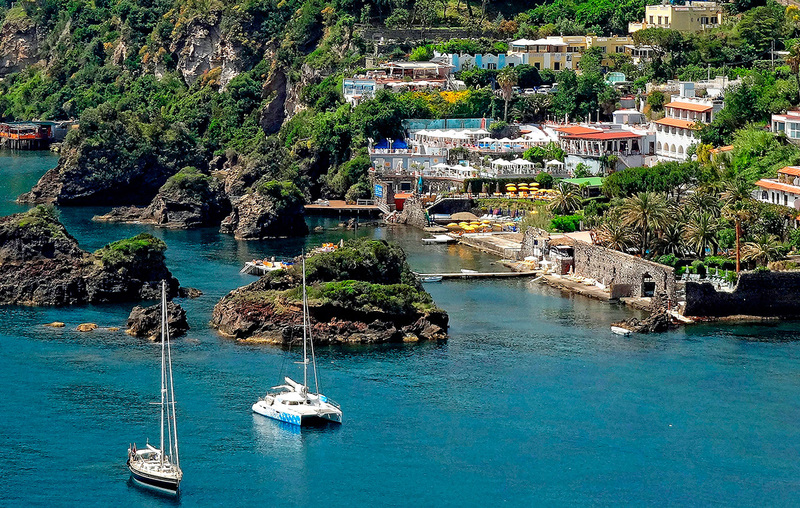 Off the north arm of the bay, there are two small islands, Procida and Ischia with subtropical vibes. On the southern side of the bay of Naples, Sorrento Peninsula points you towards the romantic island of Capri in the rich blue sea. A short cruise to the west you’ll reach Pontine Archipelago with its picturesque harbours of Ponza and Ventotene. The city Naples itself is a noisy cultural melting pot with lots of contrasts, where gracious piazzas, opulent palaces and ornate churches are set against narrow streets in the shafts of bright sunshine. The place to begin a Campania cruise with, is on the southern side of Sorrento Peninsula, where the Amalfi Coast looks across the Gulf of Salerno with sparse villages clinging to its cliffs. As you are getting closer, more looming layers emerge from the haze, as the peaks of Monti Lattari rise to 1,500 metres. At the head of its gulf, Salerno is an attractive cruising base and a favourite for many sailors because the place feels so pleasantly ordinary. Practical Boat Owner: An uncharted wreck of a WWI German submarine, missing in action since 1915, has been officially identified three years after being discovered off the coast of Norfolk and Suffolk. Practical Boat Owner: A piece of metal recovered from the sea off the Isles of Scilly looks to be debris from an American space rocket. It was reported to the UK Coastguard yesterday afternoon, which immediately issued a warning to shipping in the area. The debris was recovered with the help of local professional boatman, before being towed into New Grimsby and is currently securely held on the beach at Tresco. Martin Leslie, coastal area commander, said: ‘The markings show an American flag. It looks like it’s an American rocket and seems most likely to be the unmanned Space X Falcon 9 which blew up shortly after take-off from Cape Canaveral in June. Practical Boat Owner: The Coastguard is appealing for information after yacht wreckage was found at Redcar Beach, on the north east coast of England, yesterday morning. Investigations indicate the vessel was an Oday 22 sailing yacht and wreckage colours are blue, white and red with a section of the stern marked Hartlepool. Hartlepool and Skinningrove Coastguard Rescue Teams conducted a search of the area after the wreckage was discovered. The Coastguard would like to eliminate the possiblity that anyone is in difficulty and if you have information about this vessel please contact Humber Coastguard Operations Centre on 01262 672317 or call 999 and ask for the Coastguard.